CVV will have 10 relay teams running the Colfax Marathon! Support the teams by coming out to cheer them on or make a donation in honor of a runner or team. 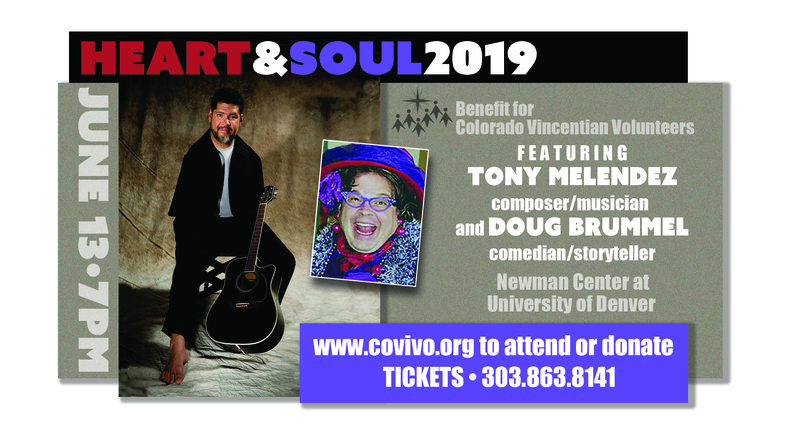 Internationally acclaimed and inspiring performer, Tony Melendez, the “Toe Jammin’” musician & composer. Also featuring Doug Brummel and his “Cast of Characters.” Doug is a comedian and storyteller. These two will tickle your Heart and nourish your Soul. This is a night you will long remember.